While reading biographies of Shakespeare to learn something about his creative process, I never figured the whole story might be wrong. 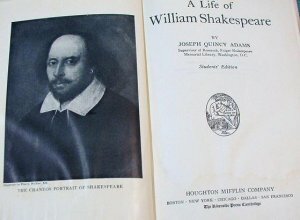 “A Life of William Shakespeare” by Joseph Quincy Adams (1923) is filled with solid information, and for that reason I recommend it, even though he creates a fictional biography of an imaginary poet-dramatist. The books included A Life of Shakespeare (1898) by Sir Sidney Lee … Shakespeare of London (1949) by Marchette Chute … A Life of William Shakespeare (1923) by Joseph Quincy Adams [the best, I’d say] … and Shakespeare, A Biography (1963) by A. L. Rowse. Yet I never doubted that Will of Stratford was the true Shakespeare. It never occurred to me to question the accepted story. I never bothered to care about it, either. I just kept reading biographies and experiencing a strange emptiness. 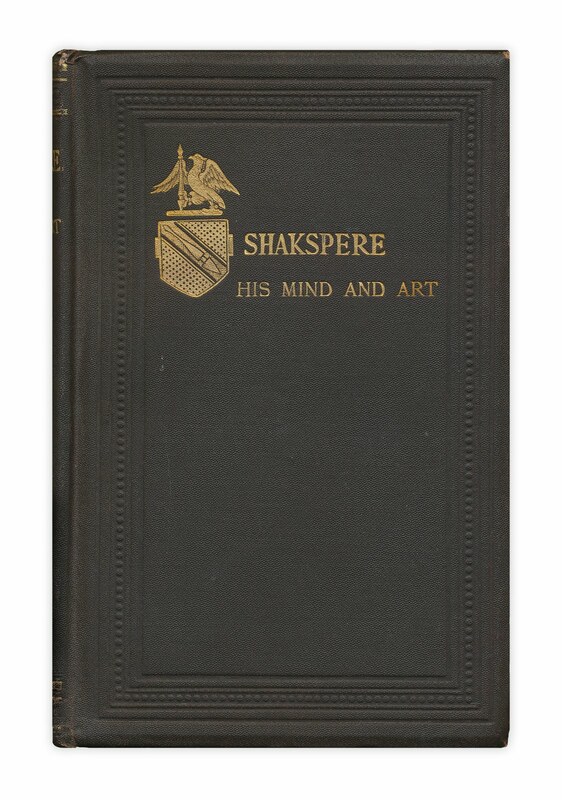 Then in another store I found a copy of Shakspere: His Mind and Art * (1875) by Edward Dowden, and boy did that title get me excited! I’ve finally hit pay dirt, I thought. I’m about to discover how Shakespeare’s mind worked and how he created his works of art! * Because of the Stratford spelling, it was always “Shakspere” and not “Shakespeare,” but, amid growing doubts about the authorship, such honesty was eventually abandoned. What I found, however, was confusing and disconcerting. The idea was that while Shakespeare may have had all kinds of turbulent thoughts and emotions inside him, he nonetheless never let himself get carried away by them. So he stood apart from his great tragic characters in Othello and King Lear and Macbeth and Hamlet, even while channeling his turbulence into them. Then he left London and returned to Stratford and put all his affairs in order. I pictured him on his porch, in a rocker, calm and serene and satisfied in his peaceful retirement. This image of the retired poet-dramatist reminded me of my own beloved grandfather, a mild-mannered accountant, who always had his affairs in order. And I think what bothered me was that Dowden’s portrait was not, in my experience, that of an artist. It was not my idea of what the creator of Prince Hamlet must have been like as a person. Most of the great writers I admired had experienced the turbulence — Eugene O’Neil or Scott Fitzgerald or Edward Albee and so on. Only Shakespeare, the greatest, could completely separate his life and work. Dowden believed Shakespeare wrote Timon of Athens as one of his last works. When the play opens Timon is a wealthy young nobleman who has proved to be a generous friend, a considerate master, a lavish patron of the arts and an extravagant entertainer – a portrait, I’d eventually learn, that exactly fits the young nobleman Edward de Vere, Earl of Oxford. When Timon’s creditors come after him (as Oxford’s creditors came after him) and his friends refuse to help him, he becomes enraged and embittered (as Oxford became). Can you imagine what I felt when reading that statement? I’ll tell a little more about what I read in those biographies back in 1987, before moving on. Spot on, Hank. When I was a child and teenager, I liked to read biographies. I really was knocked out by Shakespeare’s works so I, naturally, read a lot of bios of the Bard, including Chute’s and Rowse’s. Alas, they were empty. Many words about nothing. “He might have…he probably…he could have…we can only imagine the young William”…it was all made up! Nothing substantial there at all. I found them terribly disappointing and I could, like you, find NO connection between what I was reading about the author of the plays and sonnets and the works. Twain worked on the Mississippi, Hemingway lived in Paris, Faulkner grew up among the people and places he wrote about, etc. It all made perfect sense. Shakespeare wrote about what kings and princes were thinking and feeling and he had no connection with them. I felt that these bios were fraudulent from the get go. Much later on, I found out why. I still am amazed that people buy into the “official story.” It’s ridiculous every which way you look at it. Keep up the faith, and the good work! Hey Val, thanks — it’s great to realize that others have had the very same thoughts and feelings. I went to your website and can see that you’ve developed a way to bring creative thinking to the business world — and to other aspects of life, I’m sure. I’m going to recommend Business Light to others. Thanks again, Val, and all best wishes for continued success! I reckon that you’d have learned just as much from reading Leon Rooke’s novel, SHAKESPEARE’S DOG, which doesn’t pretend to be anything other than fiction. I’m sure you’re right. Back then, being a writer of books, I did wonder if a “great” biography of Shakespeare had been written. It did not occur to me that all the biographers were laboring within a false construction of assumptions. It was a fleeting idea only. Thanks for the comment. While we’re on the subject of invented biography, I would be interested to know how many interested parties have encountered undergraduates who take verbatim Virginia Woolf’s hypothetical paradigm of the disenfranchised “Judith Shakespeare,” whose talents and opportunities are eclipsed by those of her illustrious brother William and who dies in obscurity after a brief life of stultifying domestic repression and abuse. So much of Woolf’s A Room of One’s Own remains compelling because of her deft handling of a vivid but clearly imaginary story, which makes her object lesson about emancipation more instructive than a straightforward and strident approach might have done. Perhaps all the Stratfordian “must haves,” “would likely haves,” and “undoubtedlies” have blinded a sizeable number of young readers to Woolf’s “If . . .but” framework! Dowden’s biography is fiction but he didn’t know it. Well, he must have sensed the danger, that he was on some kind of a high wire and could fall. But he didn’t fall because everyone else was living in the same paradigm, so, rather than fall, he rose to the heights of prestige. Surely the straight-out fiction is better, but I’ve never encountered “Judith Shakespeare” and am glad… Maybe other readers here have read it. Thanks. 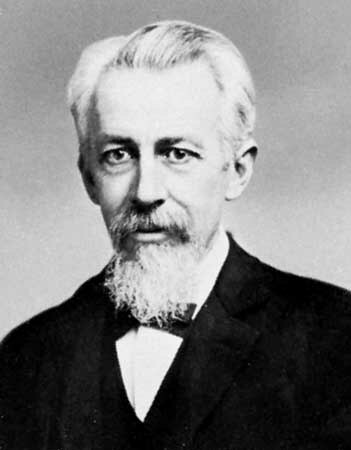 Once again Dowden along with Lee(nee Levy)was one of the two most influential Stratfordian academics of the nineteenth century.His(several times revised ) “Life of Shakespeare”continued in print into the the Second World War. As Lee set the stage for LLL and the Court of Navarre,William Hall,the Derby MND and the biography of Oxford in the DNB (all now mainstays of anti-Stratgfordian,it was Dowden who first (1869 ) identified Oxford as Watson’s “Adon “and who originated that the overall evolutionary structure of the author’s work autobiographically reflected the course of his life. However,only the Rutlandians(the earliest 20th century anti-Strats) and recently Bill Rubenstein writing allmost exactly one hundred years after Alvor,Bleibtrau and Demblon,have taken this approach literally.